After seeing pro﻿j﻿ect ﻿ARC at their school, Camaira and her friends at Robert Kemp Turner Elementary wanted to reach out to help. 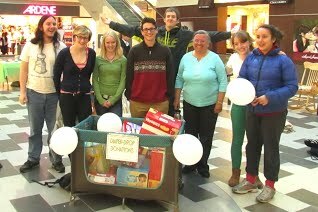 They held a skip-a-thon at their school's Spring Fling and raised over $200 for Feed Nova Scotia and Free The Children! 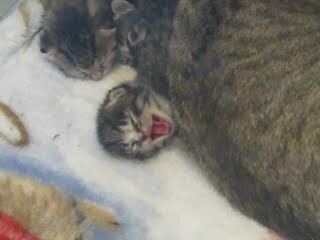 ﻿A shout out from Janice to 5 past and present pro﻿j﻿ect ﻿ARC﻿ members who rock(ed)! Emma, Amelia, Matthew, Audrey and Anisa rocked in rocking chairs for 10 hours at Mic Mac Mall to raise money and diapers for Supportive Housing for Young Mothers. The event, organized for its second year by our own Emma, raised over $2,600! Noah, who reached out to us after seeing a pro﻿j﻿ect ﻿ARC performance at his school, raised the most individual pledges, and Mike, our set builder, was not far behind! For her past two birthday parties, Amelia has raised money and supplies for Bide Awhile in Dartmouth. ﻿Want to help people? Get involved with your local food bank! 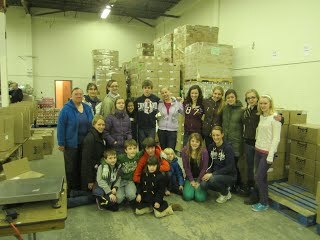 Our very own Ailin organized a group volunteer trip to Feed Nova Scotia's Christmas warehouse. in their school and donating the proceeds to Hope for Wildlife. Have you done something to spARC your world? Tell us about it (with a picture if you'd like) and we might share it on our website!